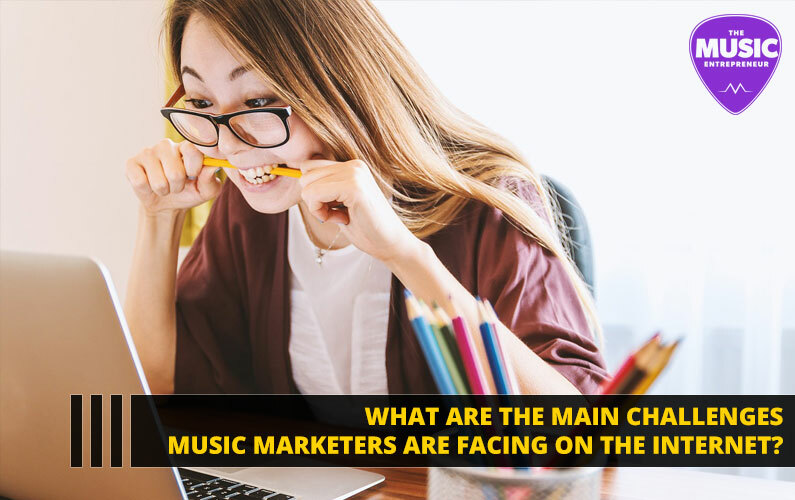 What are the Main Challenges Music Marketers are Facing on the Internet in 2018? 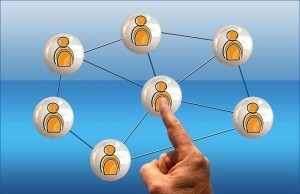 As it has been said many times before, the best marketing tool is at your fingertips. The internet is one of the best promotional outlets available today, and it has created a semi-level playing field for everyone. This, however, does not mean that anyone can successfully market and distribute a product online, be it soap or juice or music. Music marketers have their work cut out for them if they want to get their product noticed. Plus, these days, promotion duties often land in the laps of artists, and many of them barely have the time to write, record and perform, let alone come up with a marketing plan and execute on it. Here are the main challenges facing music marketers on the internet today. This shouldn’t come as any surprise. There is quite a bit of noise on the internet, and busy people don’t necessarily have the time or desire to check out every new thing that pops up in an ad on a sidebar. The internet has shone the light on some of the darker corners of the music industry (i.e. artists that never got any kind of attention before), and while that is good, there is no denying that sites like YouTube are now inundated with new artists, old artists, and everything in between. Even hobbyists and armatures have a chance at their 15 minutes in the spotlight. Marketers have to find a way to stand out from the crowd. That has never not been the case – and it is the marketer’s job to figure out how to cut through the noise – but there is an even greater need today to discern how to capture the attention of potential fans and buyers. Solution: think outside the box. Orchestrate a special promotional offer. Get the artist to put together a video song. Make cassette tape copies of the album. Get the artist to go on Facebook Live and lip sync their entire album. Plenty of artists are trying unique tactics like this and are seeing results. With online business, entrepreneurs are advised to look for ways to connect with people that have an urgent problem or need and solve it for them. It may sound opportunistic, but in the right hands it can be a beautiful thing. Serving a niche audience, adding value to them and creating products to address their biggest struggles is a wonderful way to build a community. The challenge with music is that it doesn’t inherently solve any problem in particular. Sure, music can be healing, stress-relieving, entertaining, uplifting or intellectually engaging, but that doesn’t automatically make it a value-add in the eyes of the consumer. A new music release has to address a specific market; otherwise, it’s likely to get lost among the many other releases that get pushed out every single week. Music marketers have to find an angle for the music they are promoting. They have to look for ways to make it valuable to the consumer. Trust me when I say it’s nothing like marketing consumer goods. Solution: work with the artist to determine if there’s a particular angle to exploit. For instance, if the theme of their album revolves around pets, then find a pet-related cause the artist can endorse. Donate a portion of the proceeds of album sales to a worthy cause. When you have the likes of Jack Conte from Pomplamoose saying things like YouTube used to be a great platform, but now it’s time for artists to move onto Kickstarter, it can’t help but stir up the notion that technological determinism is involved in a musician’s ultimate success. You have marketers and talking heads pushing every new thing that comes along, whether it’s Snapchat or Facebook Live. In my opinion, that’s a bit of a slippery slope, because it basically means that marketers must be using the right technology to make a music release a success, regardless of other factors like the quality of the product, the genre of the music, the musicians involved with the project, the popularity of the artist or the band, journalistic coverage or media attention, and so on. There is certainly something to be said for being on the right platform. For example, marketing one’s music on Myspace today would mostly be an uphill battle, especially compared to its hay day. This isn’t to say that there aren’t any opportunities to be had on Myspace, but you could probably still get more attention for your music on Facebook (even with its pay-for-exposure model) than Myspace these days. Be it PledgeMusic, RocketHub, Kickstarter, Google+ Hangouts, Livestream or other social networks, tools, apps and crowdfunding platforms, you can probably find examples of musicians that have initiated successful campaigns. In most instances, however, you will also find that it wasn’t necessarily the tool that made the campaign or artist a success. One tool may have some advantages over another, and one may be set up to do things the other cannot, but without fan interest and clout, there’s no way simply picking the right app or site could instantly propel you to success. Solution: commit to using one or two tools until you’ve mastered them. Using more than one reduces single source dependency. Once you’ve got traction on one platform, it’s much easier to build momentum on others too. But until then, focus. With the proliferation of digital downloads, piracy and peer-to-peer file sharing, music releases don’t generally bring in a lot of revenue on their own anymore. Fortunately, streaming has taken the reign, and that at least rewards artists on a micro level. Big deal. All the money is made on the road, right? Well, not necessarily. Certainly there are some bands that command a hefty paycheck any time they hit the stage. Some independent acts have been known to pull six-figures from their touring efforts. But in my experience, it’s safe to assume that most independent or developing artists and bands aren’t making more than $50 to $200 on any given night; sometimes a piece, but most of the time total. Some bands happily and willingly play for free too. 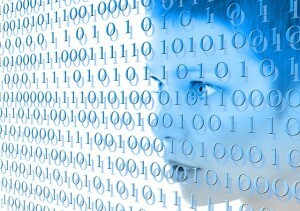 Realistically, how much money can a marketer spend on paid advertising, be it online or off? Music marketers don’t necessarily have a huge margin to work with on any given release. Furthermore, how does a marketer navigate the value conundrum (also see point #2)? Advertising isn’t terribly effective unless you address an urgent need (you can also create an urgent need, but that’s not going to come easy). 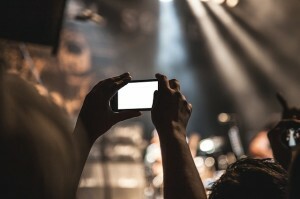 Artists and marketers can always put in a bit of sweat equity – and there are plenty of great ways to market without a big budget – but compared to other industries that might have a tendency to sink tens-of-thousands if not millions of dollars into advertising, there isn’t necessarily as big of an anticipated return with music releases. Solution: diversify. Don’t count on streams, music sales, merch sales, and live guarantees alone. I’ve put together a list of the many ways I’ve made money in the music industry. Perhaps not all will apply to your particular situation, but it should at least offer a good starting point. Music must be heard for someone to like it, and then they have to like it to buy it. It’s a three-step process. It can take many repeated listens, however, for someone to like a song, and it’s challenging to manufacture that kind of outcome. I think we can all agree that – no matter where you go out in the public – you are most likely to hear mainstream radio over other outlets or curators. Sure, some stores or malls may have their own proprietary playlists. 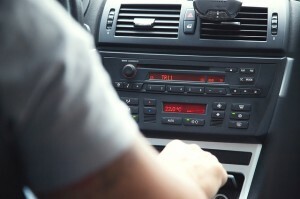 Some may choose an eccentric internet radio channel or independent station for their car, residence or place of business. But the majority are playing top 40 hits over, and over, and over again. What do people hear? Top 40. What do people like? Maybe not top 40, but they like a song or two enough to want to check it out. So what do they buy or stream? Top 40. It’s easy to find, and it’s inexpensive besides. And, think about how much damage the 99 cent song has done to this industry. If the value of a song is 99 cents no matter what the quality of the song is, or who recorded it, then what can you compete on? Not price, obviously. How does an artist or band get heard enough for someone to want to buy their music? A marketer has to come up with a plan to address this problem if they want to make a music release a success. Solution: if the artist can’t deliver a new album every six to 12 months, consider getting them to write and release singles and EPs more frequently. This can help drive engagement. Whatever you do, keep pumping out new material. Are You Looking for a Comprehensive Marketing Plan? I wrote a book called The New Music Industry: Adapting, Growing, and Thriving in The Information Age that features several chapters on modern marketing tactics – live performance, radio, copywriting, blogging, podcasting, email marketing, social media, and even YouTube and video marketing. I would encourage you to learn more about the book if you’re looking for a solution to your marketing woes. For every disadvantage or downside, there is always an equal counterpart advantage or upside. There are a lot of “free” marketing channels like social media that allow artists and marketers to get their music out there. There are plenty of inexpensive guerilla marketing tactics that can be used to drive more eyes to a product. But it still stands that there are substantial challenges for music marketers to overcome in today’s online space. What do you think? Are there any other major challenges that you are aware of? How would you go about marketing music online? Let us know in the comments below!